Dorothy F. Woline, 85, of Mt. Pleasant, IA, passed away Saturday, January 12, 2019, at the Henry County Health Center. She was a resident of Park Place Elder Living for the past seven years. Her previous home on West Clay Street in Mt. Pleasant Iowa, faced Saunders Park and her room at Park Place also provided her the familiar country home view of the of the park during her stay at Park Place. Born May 29, 1933, in Bloomfield, IA, Dorothy Frances was the daughter of John Dale and Oma Frances (Pucket) Ensminger. Dorothy was a 1951 graduate of Winfield High School, Winfield, Iowa. On March 28, 1952, she married John M. Woline of Mt. Pleasant. He preceded her in death in 2012. 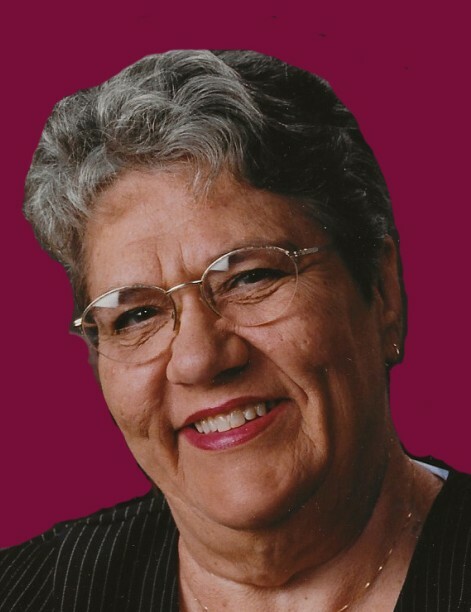 A well-known realtor in Henry County, Dorothy was a professional business woman for 40+ years. In 2001-2006 she served as an Iowa Real Estate Commissioner for Governor Tom Vilsack. A real estate Broker, Dorothy was also an educator for Southeastern Iowa Community College, teaching Iowa Real Estate Licensing evening classes. The Dearborn Publishing Company, the publisher of the real estate text books, employed Dorothy to review and edit the text books for the state exam guides into her retirement years. Dorothy played a key role in the local Realtor’s McGwider Inc. Project which supported the Mt. Pleasant High School Student’s Building and Trade classes who built several homes in Mt. Pleasant. (McGwider represents 7 local realtors; McBeth, Glover, Woline, Iris Realty, Dan Cash, Elefson, and Roth.). Dorothy was active in the founding of the Henry County Abstract Company and served on the Tax Review Board. As a business owner, wife and mother of four, along with being a born-again Christian, Dorothy was a Sunday school teacher and choir director at Oakland Mills Community Church. She was active in her children’s lives by participating in a local saddle club, helping with homework, attending their extra-curricular school events such as drama/speech club, school plays, summer city recreation softball/baseball games, chaperoning sleep overs, girl scouts, her son’s cub scout activities and diving and swimming competitions at the city pool to name a few. She loved to square dance and play cards with friends. She shared her fun times doing the Jitterbug and roller skating with her husband, John. Lastly, she loved her work and keeping up with today’s technology and the world news while always cheering on the Chicago Cubs. Dorothy is survived by her three daughters, Lynda (Craig) Long of Papillion, NE, Joyce (Patrick) Wathen of Mt. Pleasant, IA, and Julie Anna Woline of Des Moines, IA. Dorothy and John Woline were blessed with 4 grandchildren, Trevor (Sarah) Long, Tara (Chris) Martin, Daniel (Mauri) Wathen and Katie (Joe) Azar, as well as 6 great grandchildren, Ali Martin, Chase Martin, Elizabeth Long, Ethan Long, Joey Azar, Delaney Azar, and Uriah Wathen. Also surviving Dorothy is her sister, Karen Sue (Ensminger) Whitfield of Alabama, along with several nieces and nephews. Preceding Dorothy in death are her parents; her husband, John M. Woline; her son, Johnny A. “Chip” Woline; a step-sister, Inez Maxine (Hoadley) Howard; and two step-brothers, Harry Robert Hoadley and Alvin Dale Hoadley.